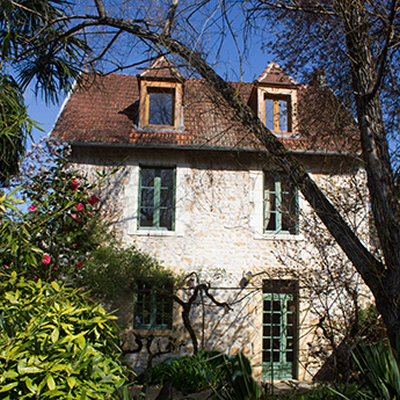 in the heart of the beautiful Dordogne. 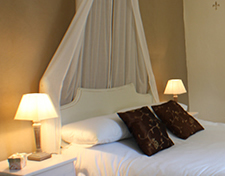 Le Jardin is an enchanting 200 year old house. 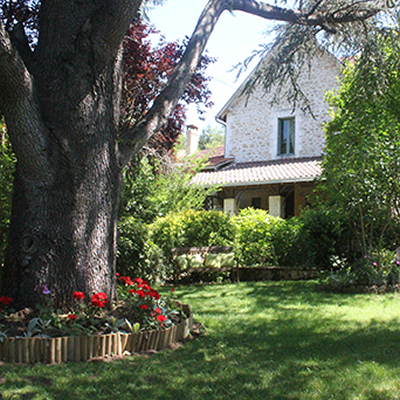 Although very close to the centre of the beautiful medieval town of Sarlat, its garden setting will ensure a peaceful and relaxing base for your stay in The Dordogne. 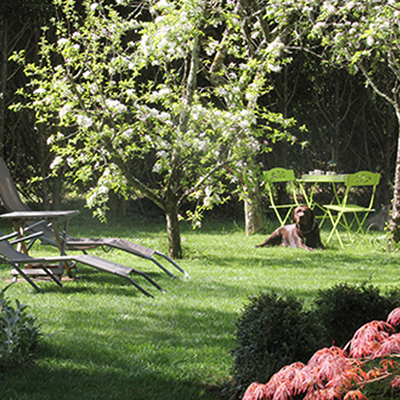 Le Jardin is an English speaking B&B situated in one of the finest locations for a bed and breakfast in the Dordogne. 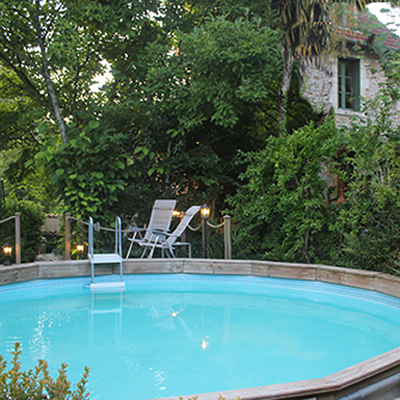 Just a 500 metre level stroll from the very heart of the beautiful medieval town of Sarlat-La Caneda, and yet set in a large tranquil garden, this charming chambres d’hotes is the perfect base for your stay in France. 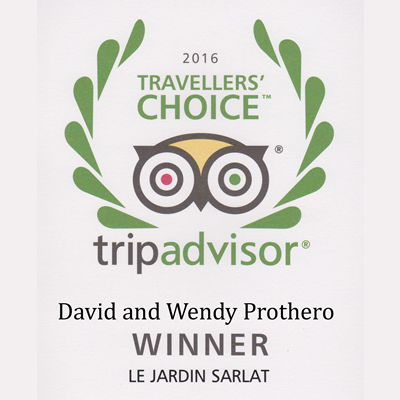 British owners David and Wendy would be delighted to welcome you to their home, and provide everything you need for a holiday, short break, or convenient stop-over in the Perigord region. 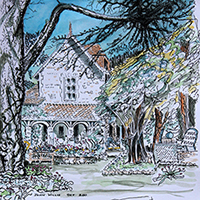 Whether you wish to explore the bastide town of Domme, the beautiful river-side villages of Baynac and La Roque Gageac, the magical cliff-side town of Rocamadour or the numerous chateaux of the one-hundred-years-war, you simply could not have a more central base. Other guests are fascinated by the pre-historic sites of the area. One simply cannot help but be amazed by the world famous Lascaux cave paintings, or the trogladite cave town of La Roque St.Christophe. 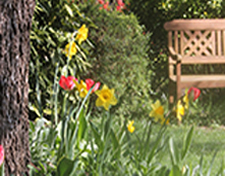 For the energetic there are plenty of activities to enjoy. The Dordogne is great for walking, cycling and canoeing. Take a hot air balloon or light aircraft trip to see the area from above or simply enjoy a round of golf. Keen landscape photographers will be in paradise here. 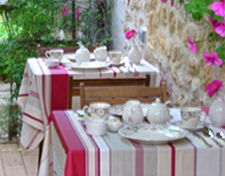 Wherever you choose to explore in the day or even if you choose to stay in the garden, you will be able to relax and chat with like minded guests at your bed & breakfast accommodation in Sarlat.